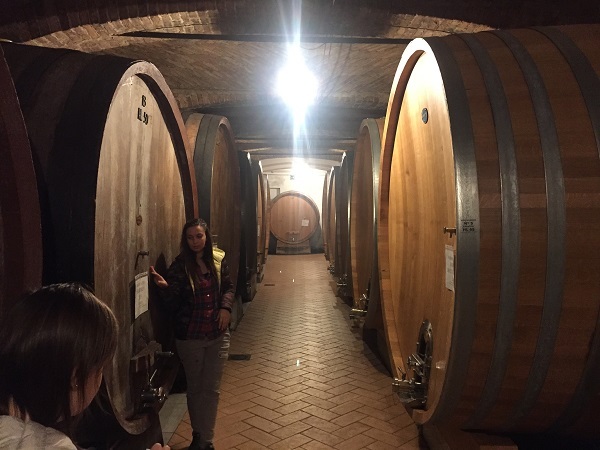 On David Way’s recommendation and introduction, we began our visit to Piemonte at Oddero. 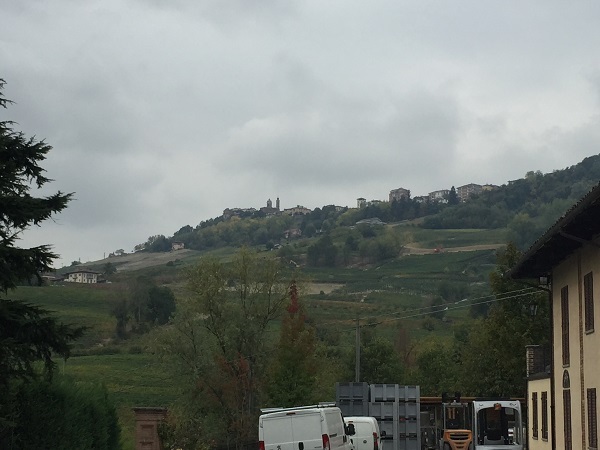 The winery is in the small village of Santa Maria, just under the hilltop town of La Morra and their 35Ha of vines are mainly in this commune. From estate fruit only, Oddero produce a blended Barolo, as well as 5 cru Barolo bottlings, plus a single cru Barbaresco. They began cru bottlings in 1982. Other wines include Moscato Bianco (Muscat Blanc a Petits Grains) for Moscato d’Asti, Barbera and Dolcetto, and unusually Riesling and Chardonnay. The latter are used together in a very unusual blend. Their Barolo is classically made, with fermentation in stainless steel followed by a 30 day maceration on skins. 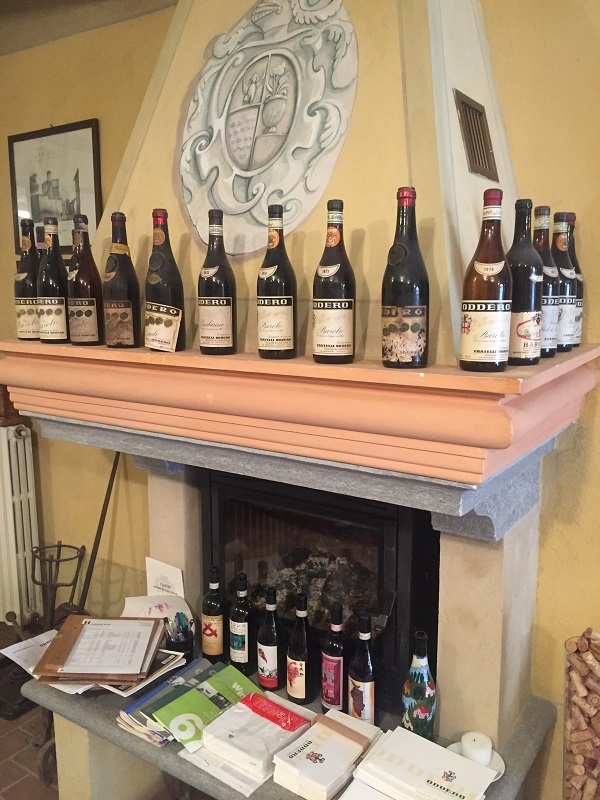 The blended Barolo spends 2.5 years in botti then 6-9 months in barrel. The crus spend 6-9 months longer in botti. Their top cru, Vignarionda, is made into a Riserva and is aged for a far longer period. It spends 4 years in botti before 6 years in bottle pre-release, as a 10 year old Riserva. The cru produces powerfully-tannic wines, to if it is released as a standard 5 year old Riserva it is simply too young on release. 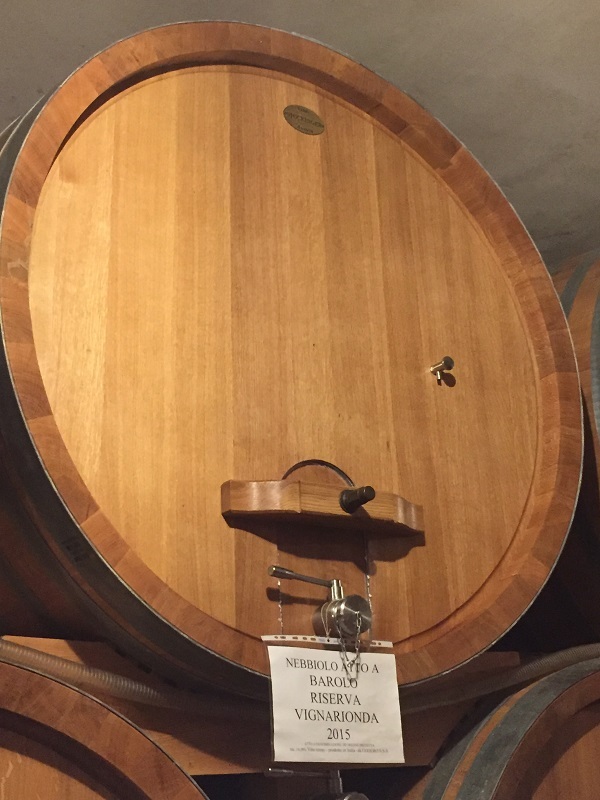 This wine was first released in the good 2006 vintage and they have had to buy extra botti and to extend the cellar in order to hold the wine for this length of time. From the visit, in order tasted. A = Appearance, N = Nose, P = palate; scores are out of 20 because I feel like it. 60% Riesling, 40% Chardonnay. Originally this was a pure Chardonnay, but they felt it was too simple and wanted a white wine with more challenge to it, like Barolo. Hence the addition of Riesling, which is now from 20-year old vines. A curious and interesting blend, which is trying to be a serious wine, but the Riesling and Chardonnay don’t quite seem to blend (yet). P: Phenolic entry (skin contact at fermentation for both Chardonnay and Riesling), steely Riesling acidity with lime notes, supported by Chardonnay white peach. Tight. TDN thread which stands out a bit. Not quite integrated flavours.